Virginia Peanuts 7 oz., Natural Pistachios 5 oz. & Whole Cashews 7 oz. Make "everyday" special for someone. 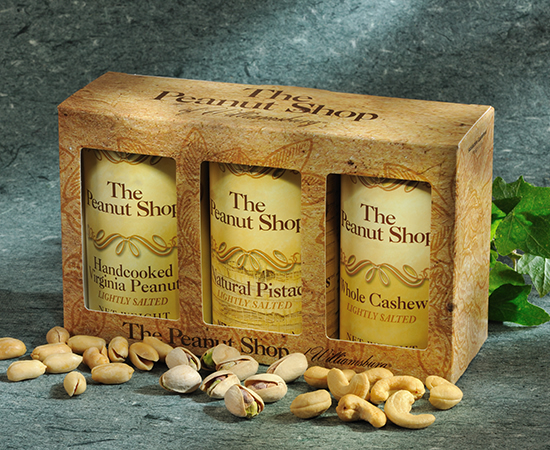 Our "Everyday" gift box now offers a selection of customer favorites with three different nuts...Perfect for gifting and snacking... every day!